It's been another great year of African literature. 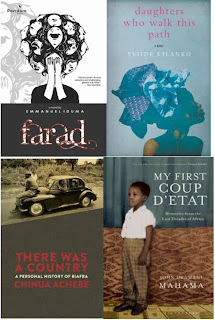 Sefi Atta, Nadine Gordimer, Chuma Nwokolo, and Ahdaf Souief were some of the authors that returned with new works. 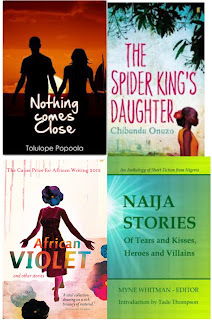 There were debuts from Emmanuel Iduma,Yejide Kilanko, Sue Nyathi, Chibundu Onuzo, and Tolulope Popoola to name a few; anthologies from Caine Prize and NaijaStories; and the much awaited memoir from Chinua Achebe, as well as memoirs from Ngugi wa Thiong'o and former Vice President (and now President) of Ghana, John Dramani Mahama. 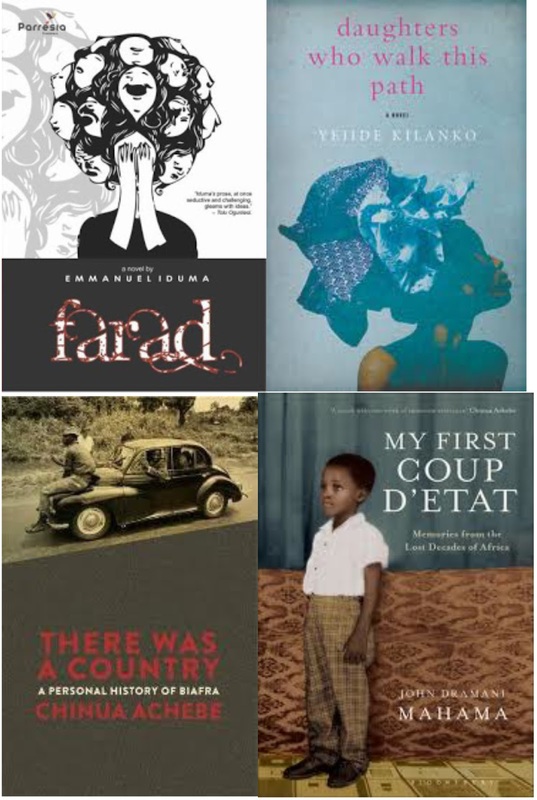 And there's also the wealth of African publishers bringing us even more amazing books. While I wasn't able to read all the books that were published this year, I was fortunate enough to read some, and I figured I couldn't end this year of reading without my very own "Best Of" list. Absolutely loving these books was definitely one of the reasons they made my top five, but I also think it's their difference that made me choose them in the end. These indeed are very different books, but I guess that's why I loved them. To me they represent the diversity of contemporary African literarature. 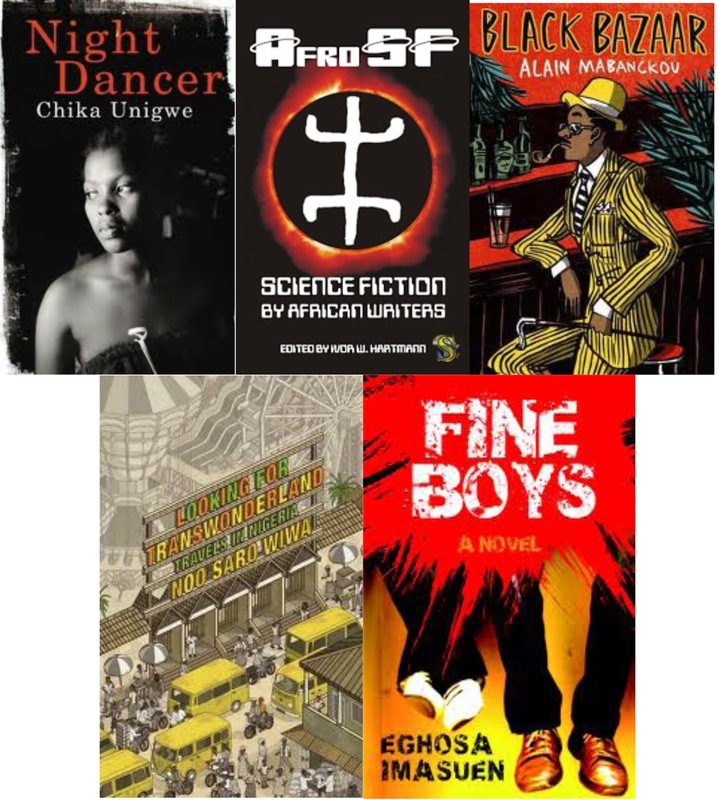 Chika Unigwe's Night Dancer portrays three very different women's complex lives in a patriarchal society excellently; AfroSF shows the possibility of Science Fiction as a literary genre in Africa; after spending a month reading his translated novels Alain Mabancknou can do no wrong in my eyes, and Black Bazaar (which thankfully was translated into English this year) took me to the world of African immigrants in Paris; I found Looking for Trasnwonderland by Noo Saro-Wiwa refreshing and honest, especially after a not-so-good experience with another travel guide on Nigeria; and Fine Boys, what more can I say that I haven't already said - beautifully written and authentically and unapologetically Nigerian. So these are mine but what were your favourite books of 2012? I would really love to know.